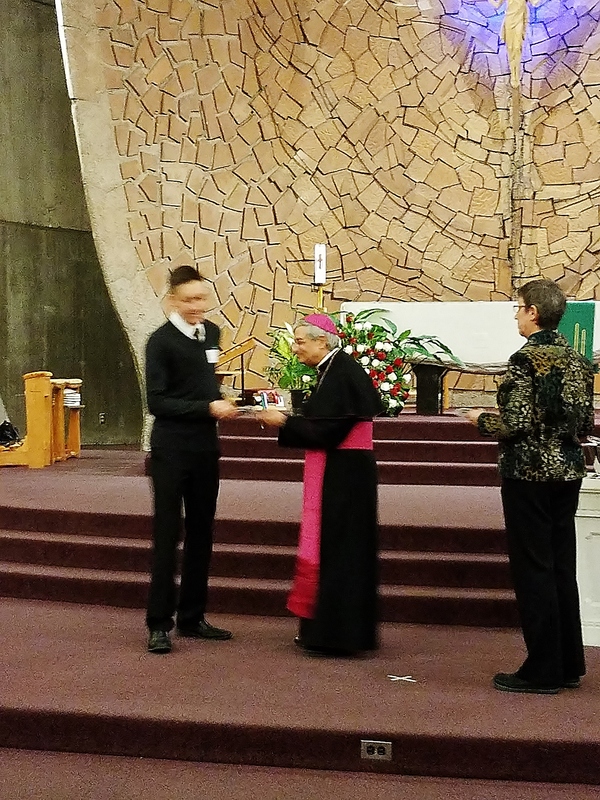 The Hands of Christ Award is a recognition given to high school seniors in the Diocese of Rochester who have demonstrated a life of service, faith and Christian example in their parish, home and school communities. 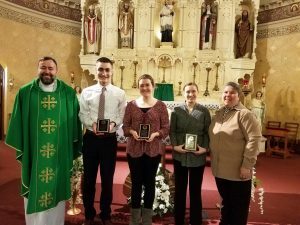 We congratulate St. Stanislaus parishioners Evan Anderson, Ana Hayes, Konrad Juskiewicz, Esther Moore, Amanda Procaccini and Maria Wojciechowski, the 2019 recipients of this award! In many Eastern European countries, it is a tradition to have a basket of food blessed on Holy Saturday or Easter Sunday. 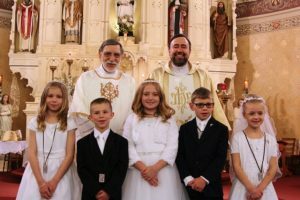 In Poland, for example, the blessing of the baskets is known as święcenie pokarmow wielkanocnych, a practice dating to the 15th century or earlier, and one which is still maintained by most families in Poland on Holy Saturday. 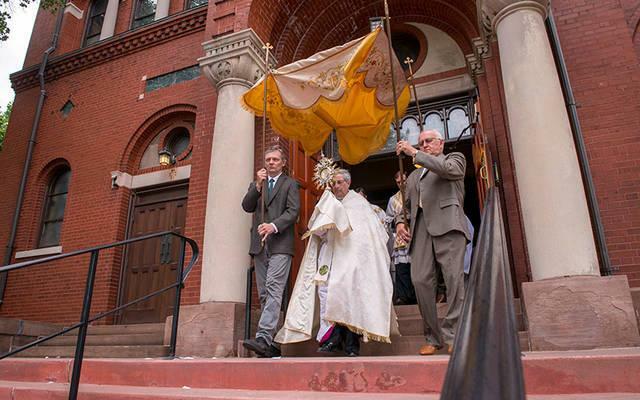 Most Reverend Bishop Salvatore Matano on Holy Saturday at 1 pm. The food items in the Easter basket, as well as at the Easter Sunday breakfast where the blessed food is eaten, have special significance. A lot of thought, time, and care is put not only into the foods that will go into the basket but also how the basket is assembled. The basket is lined with an embroidered cloth or traditional folk fabric. Once the basket is filled, it is covered with a white linen cloth (some have a colorfully crocheted edging or embroidered design) representing the shroud of Christ. The basket may then be decorated with sprigs of boxwood (bukszpan) or Polish “palms ” made from dried flowers and colorful paper. 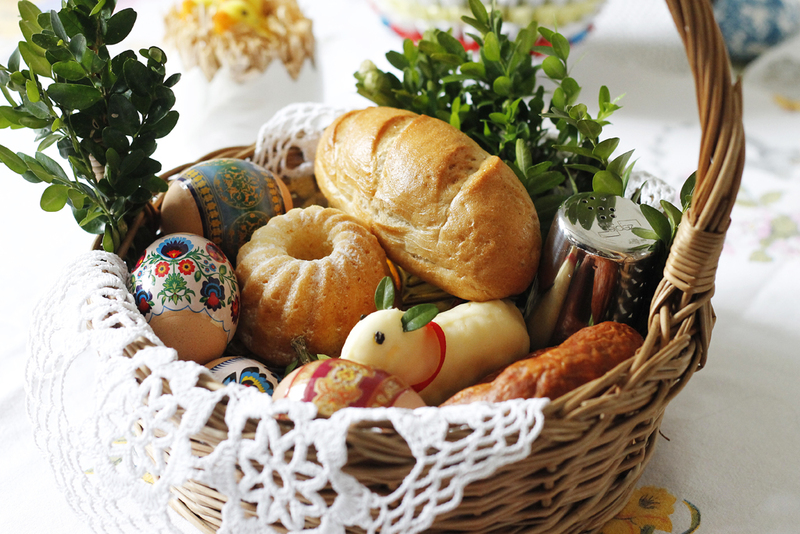 A typical Eastern European Easter basket would include any of these symbolic foods. Bacon–boczek/słonina. 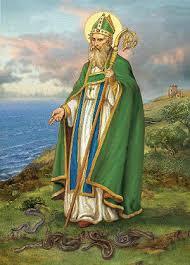 A symbol of the abundance of God’s mercy. Bread—chleb. Usually a braided sweet bread type, representing the staff of life given by God. Easter bread–babka. A round loaf of rich, eggy, yeast dough with raisins reminiscent of the risen Lord. Candle–swieca. The candle symbolizes Jesus, the “light of the world,” and can be lit when the priest blesses the baskets of food. Cheese–ser. Cheese is a symbol to remind Christians of moderation. Colored eggs–pisanki (pee-SAHN-kee). Both colored and uncolored hard-cooked eggs indicate hope, new life and Christ rising from his tomb. Ham–szynka. 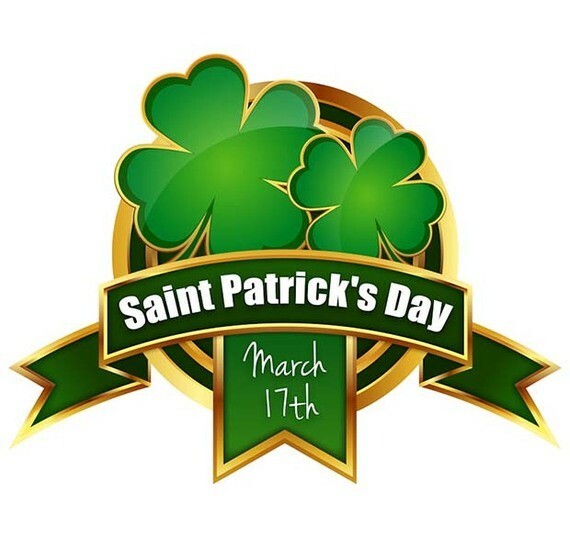 Meats are symbolic of great joy and abundance in celebration of Christ’s resurrection. Sausage–kiełbasa. The sausage links are symbolic of the chains of death that were broken when Jesus rose from the dead, as well as of God’s generosity. Horseradish—chrzan. This is a reminder of the bitterness and harshness of the Passion of Jesus, and the vinegar it is mixed with symbolizes the sour wine given to Jesus on the cross. Salt–sól. Salt is represented to add zest to life and preserve us from corruption. Sweets–słodycze. Sweets suggest the promise of eternal life or good things to come. 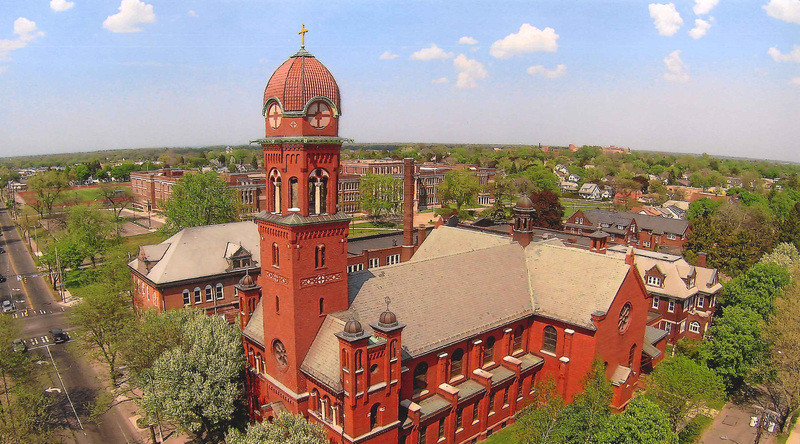 The Diocesan Public Policy Committee, now chaired by Fr. Dan Condon, chose abortion expansion as one of the three main issues in its annual legislative agenda. The committee was aware that this issue was likely to come to the forefront in the state legislature again this year as a key issue in Governor Cuomo’s political agenda. This issue may well come up again in this legislative session (January-June 2018) even if it is defeated now, but defeating it in this budget is a crucial step. 1803 Abortion_Expansion_Flyer Public Policy – please see attached. Of the Lord of creation. 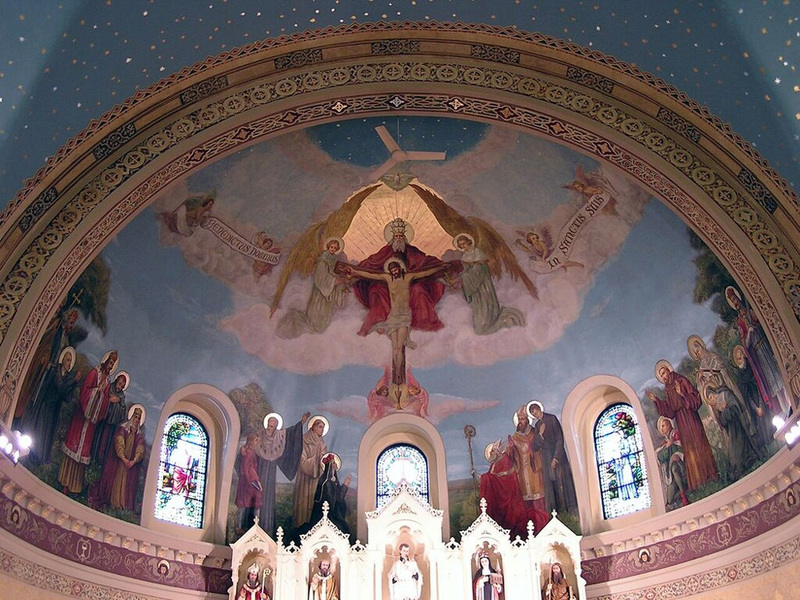 7:00 PM Blessing of the Mission Cross and the crosses of the Parishioners / Adoration of the Mission Cross / Procession with the Mission Cross / Elevation and Embedding of the Mission Cross / Solemn Final Blessing with the indulgences. Congratulations to Esther Moore, for receiving the High School Music Ministry Recognition Award, from the Rochester Chapter, National Association of Pastoral Musicians. 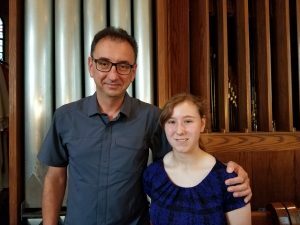 Esther Moore pictured with Dariusz Terefenko, Organist and Choir Director. 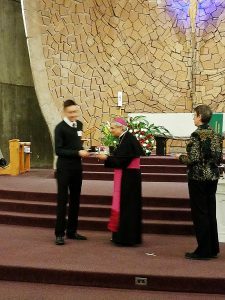 On April 30th, 23 teens from around the diocese, including our own Esther Moore, received the High School Music Ministry Recognition Award from the Rochester Chapter, National Association of Pastoral Musicians. 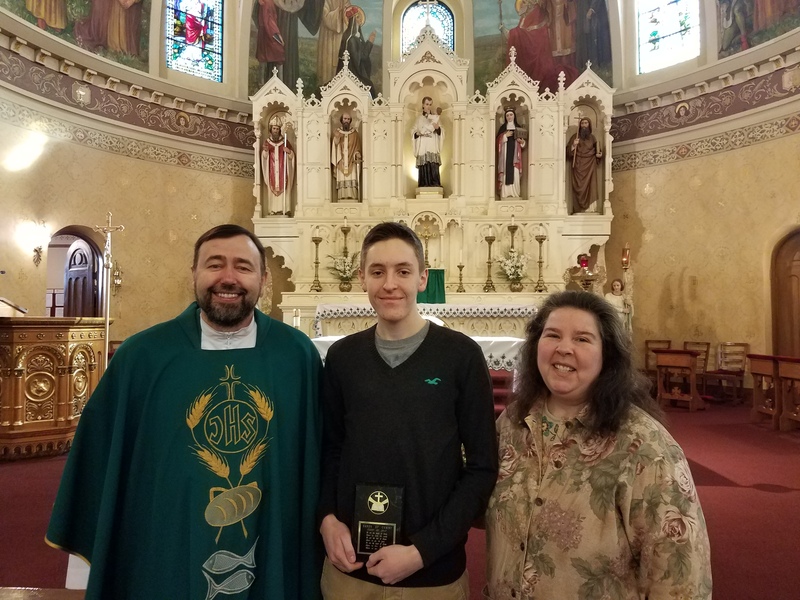 This award recognizes high school students for their participation in parish music ministry. Esther was nominated by Dariusz Terefenko, Organist and Choir Director. Esther began her service in music ministry at St. Stanislaus in 4th grade by joining the Polyphonic Choir, and became a cantor in this adult choir in 7th grade. Congratulations Esther, and thank you for your service to our parish! 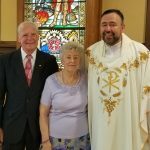 Eugene & Frances Chmiel pictured with Father Roman after Mass celebrating their 65th Ann. Congratulations to Jack Procaccini our parish’s 2017 recipient of the Hands of Christ Award! For a complete list of 2017 recipient’s and additional information please see the article in the Catholic Courier Journal .